New Delhi: Wiley India, a wholly-owned subsidiary of John Wiley and Sons Inc. and a global leader in the publishing industry, today announced the winners of the second edition of the Wiley Library Awards 2017. The awards for Digitally Transformed Academic Library, Aspiring Young Academic Library, and Digitally Transformed Research Library went to IIT Kharagpur, IISER Mohali, and the Tata Institute of Fundamental Research, Mumbai respectively. The winners were chosen by an independent jury comprising of highly respected professionals who have made ground-breaking contributions in advancing the library sciences like Dr. H. Anil Kumar (Librarian and Head NICMAN, IIM-A), Dr. Medha Joshi (Tata Memorial Centre, Mumbai), Dr. Ramesh C Gaur (Librarian, JNU), Dr. Suman K Malik (Central Drug Research Institute) and Dr. Tamal Kumar Guha (Librarian IIT Guwahati). Dr. K P Singh (Director, National Medical Library) and Central Institute of Technology, Kokrajhar (represented by Dr. Sangrang Brahma) were given the coveted Wiley Visionary Award and Wiley Library Award for Emerging Library respectively. 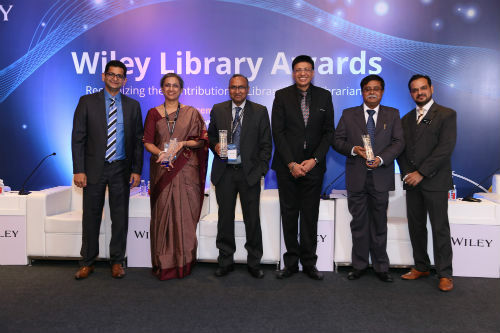 The Wiley Library Awards is a one of its kind initiative in India bringing together and honouring the best in the field of library and information sciences, encouraging innovation and digital transformation efforts, and paying tribute to the community that helps spearhead knowledge dissemination in society. 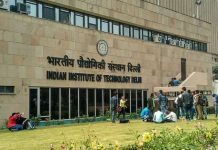 This year, there were more than 145 nominations from the various leading institutions like IITs, IIMs, NIT’s, IISER’s, along with medical institutions and research institutes. First instituted in 2016, each award carries a citation and a cash prize of INR 25,000.